Extensive ruins of Heracleia by Latmus are situated picturesquely on the shores of Lake Bafa, which is the remainder of the former Latmian Gulf. In ancient times, around this bay, many port cities were established, including Miletus, Priene, and Myus. Just as in their case, also the history of Heracleia is closely associated with the activity of Meander River. This river for centuries gradually silted up the bay, depriving nearby cities of the access to the Aegean Sea. Heracleia was founded in the farthest, eastern point of the Latmian Gulf, at the foot of Mount Latmus (tr. Beşparmak Dağı, i.e. Five-Finger Mountain). 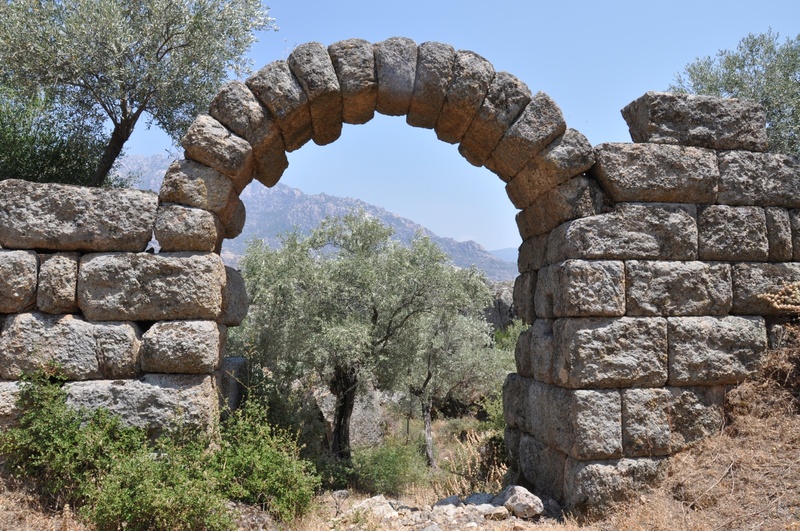 For this reason, in ancient times, the settlement was called Latmus (Latmos). Since its conquest by the Carian King Mausolus, it was called Heracleia, reflecting the king's plan of the Hellenization of Caria. The nickname 'Latmian' was added to distinguish it from other settlements bearing the same name. The most interesting mythological story associated with Heracleia by Latmus is the story of Endymion. According to the local version of the myth, a handsome young man was a shepherd. One night he fell asleep in a cave on the slope of Mount Latmus. While he was sleeping, Selene, the goddess of the moon, saw him in her bright light. Love-struck Selene spent the night with the young man, but when Zeus learned of their love he decided that Endymion should never wake up from his dream. Endymion fell into an eternal sleep, preserving his youth and beauty, and Selene visited and made love with him, bearing him 50 daughters. The myth of Endymion survived in the memories of Heracleia inhabitants until Christian times. Endymion was then revered as a local saint, as one of the many hermits who were attracted to the Mount Latmus. On the slopes of the mountain, an ancient tomb with a sarcophagus was discovered. It was considered to be the resting place of Endymion and transformed into a place of worship. Every year, on the day that was dedicated to the celebration of Endymion, local monks opened the sarcophagus. The skeleton deposited there apparently emitted strange sounds, considered to be Endymion's voice trying to communicate and tell people the name of God. A rock tomb uncovered in modern times by archeologists seems to be the confirmation (at least partial) of the truth of this story. Although there was no sarcophagus inside, many sarcophagi are located within the ruins of Heracleia, adding the romantic and mysterious feel to the place. Latmus was initially a Carian settlement, adjacent to the areas of Ionian colonization. In the 5th century BC it belonged to the Delian League, paying an annual fee of one talent. In the 4th century BC, Mausolus of Halicarnassus conquered the city and surrounded it with impressive fortifications. 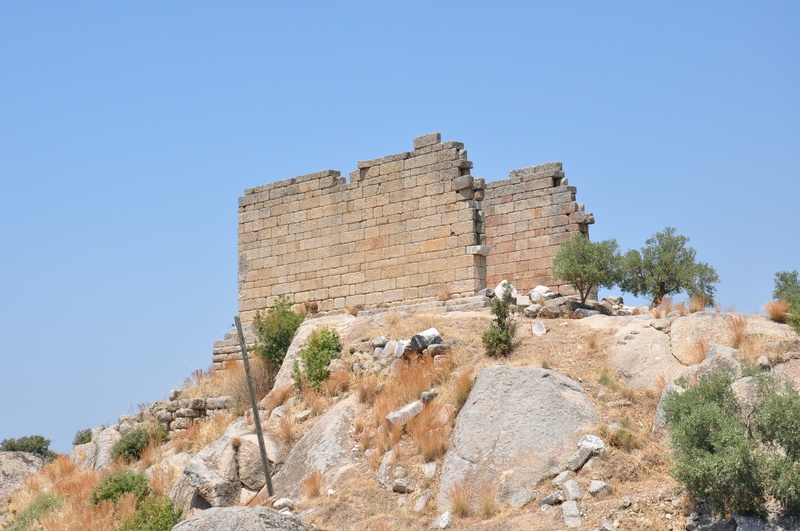 The city was then completely rebuilt, according to the principles of the Hippodamian plan of city layouts, also known from Priene and Miletus. 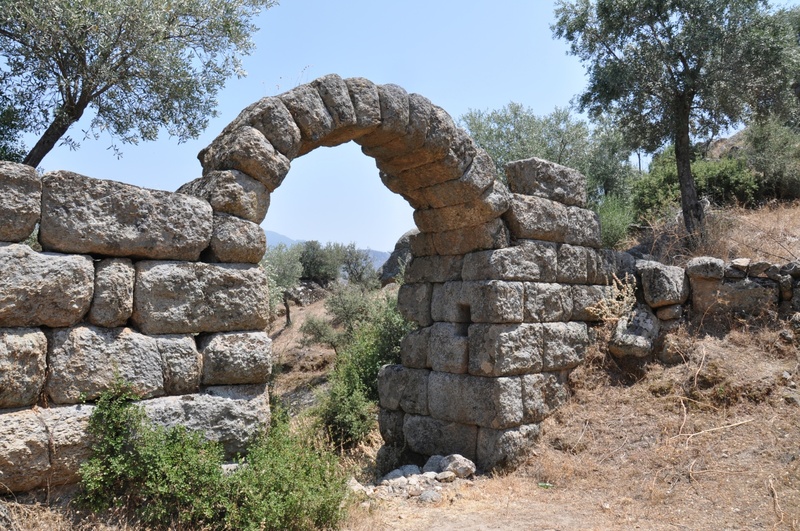 Heracleia's source of wealth in Hellenistic times was the maritime trade. From the account of the ancient geographer Strabo, it is known that even in the first century BC the city had access to the sea. 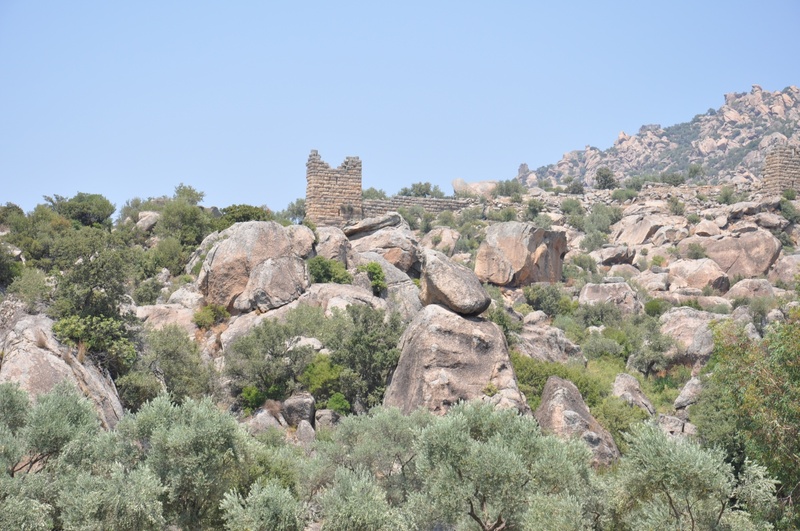 In the Byzantine period, Heracleia became a place eagerly chosen by hermits and monks, who built many churches and monasteries on the shores of Lake Bafa, its islands and the slopes of Mount Latmos. Heracleia has never been subjected to systematic archeological excavations, so its vast area remains relatively poorly studied. 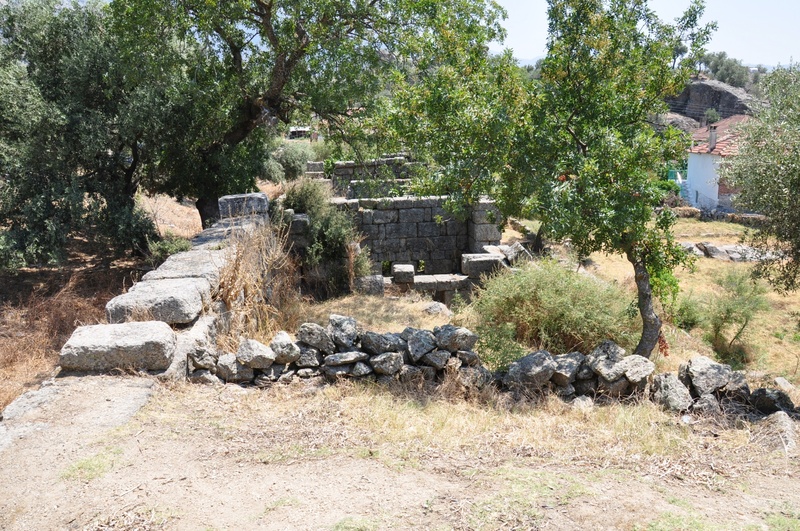 Heracleia ruins are located in the area of modern Turkish village known as Kapıkırı. 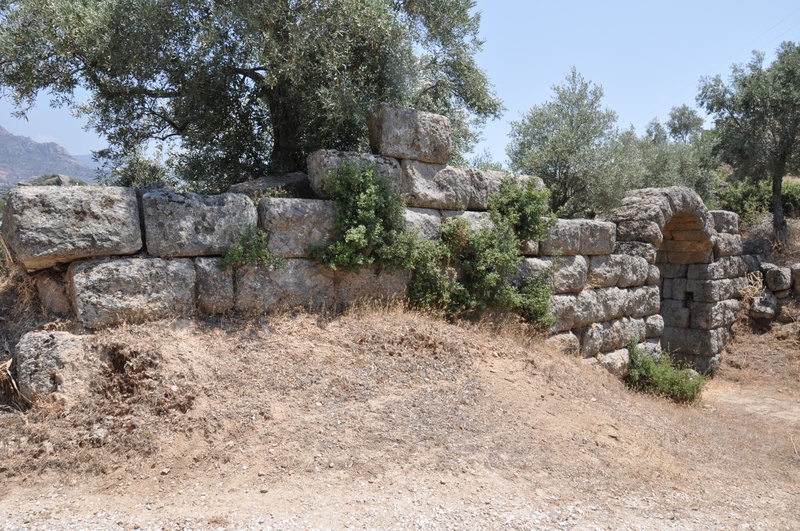 The city walls surrounding the ancient city were built by Mausolus and expanded by Lysimachus around 287 BC. They had a total length of about 6.5 km and their circuit was fortified with as many as 65 towers and numerous gates. The remains of these fortifications are among the best preserved ancient buildings of this type in the world. 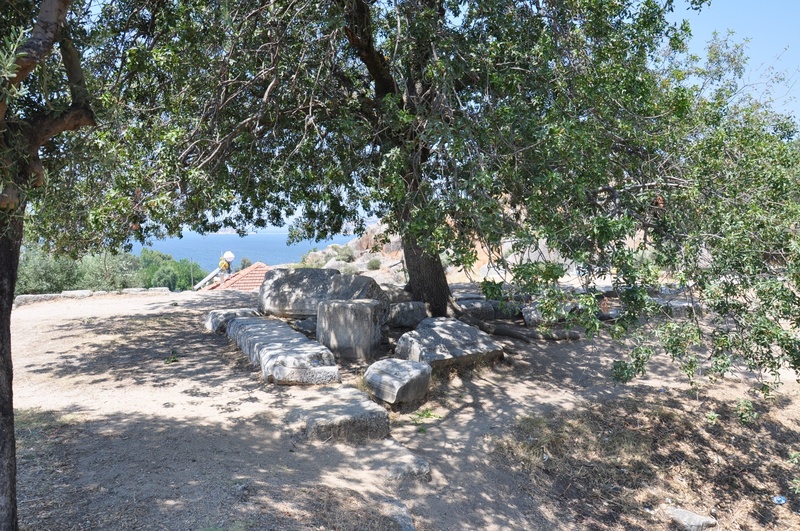 Heracleia's most important temple was dedicated to the goddess Athena. Its ruins stand on a hill overlooking the city. 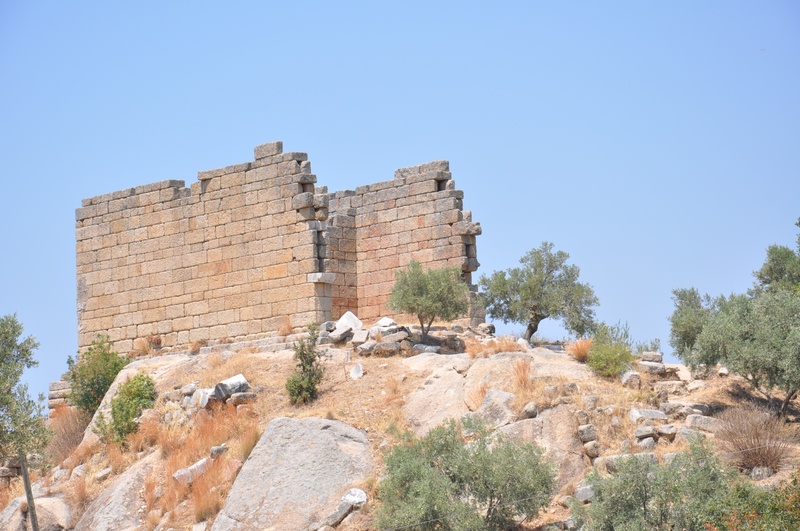 The temple was built in the Hellenistic period. It consisted of a cella i.e. an inner chamber, and a pronaos i.e. an atrium surrounded by a colonnade. 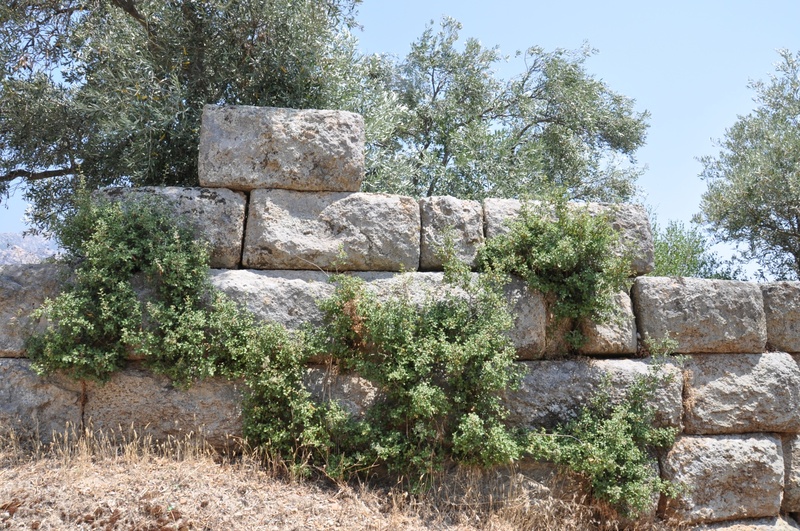 The best-preserved part of the Agora, also dated to the Hellenistic times, is its southern wall. Unfortunately, not much has remained from the bouleuterion or the place of meeting of the city council. Some architectural fragments found in its area suggest that the bouleuterion of Herakleia resembled that of Miletus. The so-called Endymion sanctuary is a temple of prostylos type, with four columns in front of a vestibule. Among the other ancient buildings in Heracleia, the most noteworthy are Roman baths, a theater, and a Byzantine fortress, located in the southern part of the city. At this castle, there is a cemetery, with tombs carved into the rock. Some of them are now flooded by the waters of Lake Bafa. Admission to the ruins of Heracleia by Latmus is generally free of charge. Apparently, sometimes there is a guard in the booth at the entrance to the village who collects an entry fee of 3 TL, but this happens rarely. By bus: the buses connecting Söke (to the north) with Milas (to the south) stop at the crossroads of D525 road with the local road leading to the lake. However, the distance from this point to Kapıkırı village is further 7.5 km. 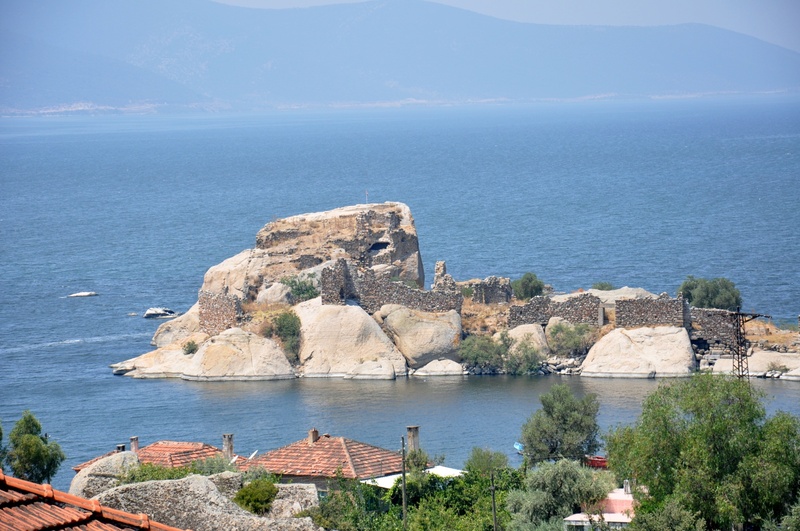 There is a local minibus, departing from Kapıkırı around 8:00 am and going back around noon. The safer alternative is taking a taxi for around 20 TL. 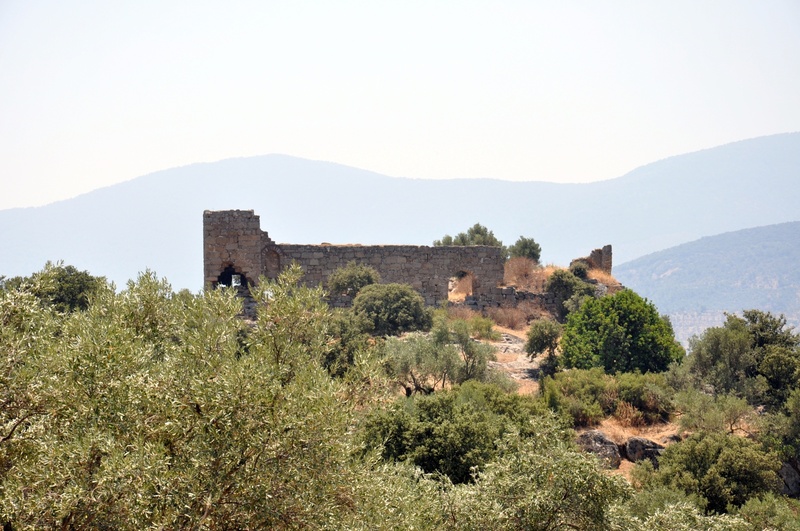 By car: take D525 road from Söke to Milas, and turn off in the northern direction in Bafa village into the local road to Kapıkırı. 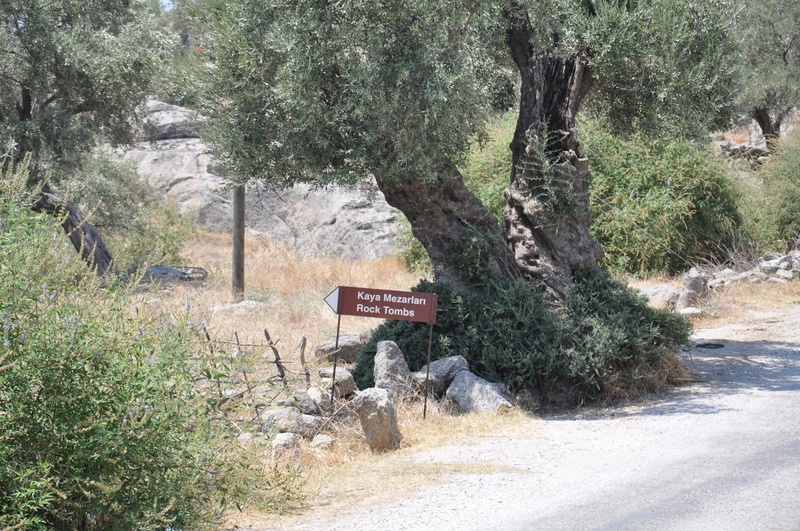 This local road takes you through several villages situated on the eastern shore of Lake Bafa, to Kapıkırı village. On the way, you can admire magnificent views of Beşparmak mountain range, different rock formations, and Lake Bafa. 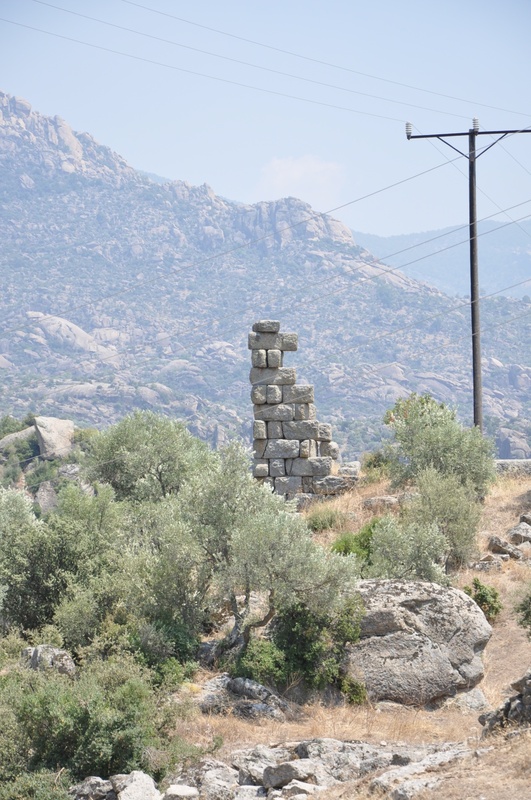 The distance from Söke to Kapıkırı is 61 km, and from Milas - 35 km. Because the ruins are located on the territory of modern village Kapıkırı, one can not only enjoy a delicious meal but also spend the night in one of the several B&Bs. For example, the price of a double room in a pension called Karia (tel. 0 90 252 543 54 90) is 180 TL (including two meals). The guest house also offers a small campsite. Lunch served in the same guest house costs around 50 TL for the dishes that are enough to feed four people. The meals, prepared from local ingredients, are served al fresco on the terrace, which offers the views of Lake Bafa. The owner of Karia B&B also organizes trekking tours around the area, reaching the caves in the mountain massif of Latmus. There you can see the paintings left by people inhabiting them in Neolithic times. However, please note that these tours are organized only in spring and autumn. During the summer - due to high temperatures - it is not advisable to go hiking in the mountains. It is also possible to purchase a boat trip on Lake Bafa.